We have been researching and selecting great trade partners for years. Alfresco Living distributes products from over 60 different companies. Direct from the manufacture furniture in cast solid aluminum, teak, synthetic fibers, resin, recycled plastics and all combinations. Planters, fountains and sculptures in hand carved Italian limestone, cast limestone, cast concrete, terra cotta, bronze, fiberglass, colorful glazes, resin and combinations of natural and synthetic materials. 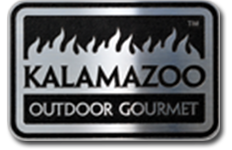 Outdoor kitchens in the highest quality stainless steel, fire features and fire pots in concrete and stone available in natural gas or propane. No job is to big or to small, from one planter to your entire outdoor living space. We can help you select and design your perfect oasis. We would be happy to get started on your custom proposal.